A wonderful lamp / light fixture for any room or music studio. This lamp is An African instrument / shaker and stands 16 inches in height. 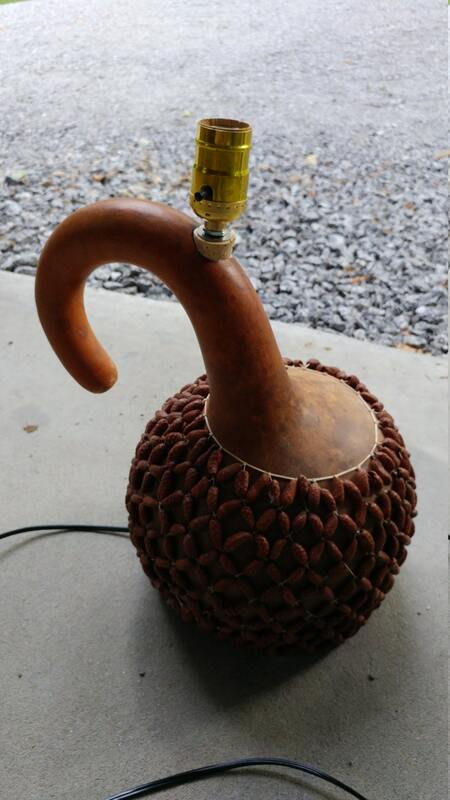 Its made of a gourd and pine cones. Take any standard base bulb up to 100 watts. Bulb not included.